Canvasflow provides the ability to import a PDF (single or multi page) and automatically create individual Canvasflow articles. When an PDF is processed, each page of a PDF will be first converted to an image and then an article generated for each page of the PDF. 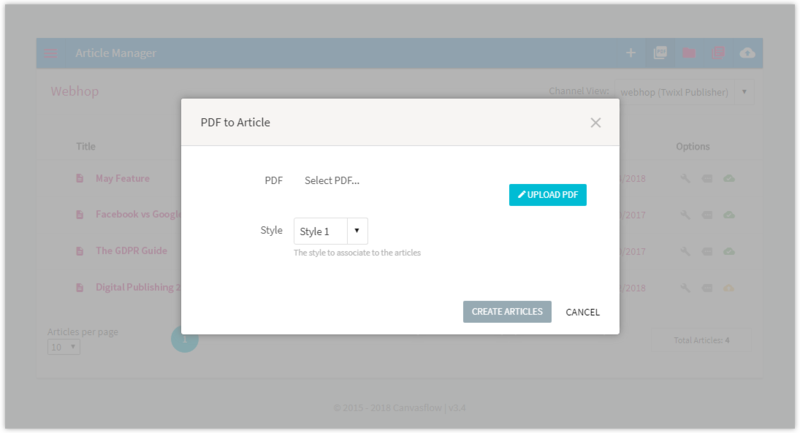 In the new window, select 'Upload PDF' and locate the PDF file you wish to use. Choose a style to be applied to the articles. A progress bar will estimate time left to complete the upload. 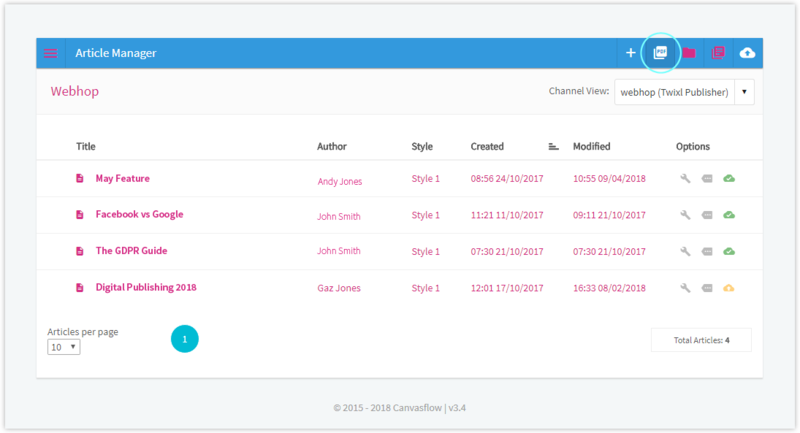 Once uploaded, the articles will need to be processed, when ready select the 'Create Articles' option. The PDF will now be processed. Processing may take some time for larger files, so it's important to leave the page open. The pop-up will close once complete and articles will be created in the article manager. Images will be set to Use RAW by default.